The Jewish Voice had the privilege of speaking with the Cahns. It became abundantly clear these two distinguished individuals have not only unflinchingly devoted their lives to their people and other humanitarian concerns but have made Jewish survival and stalwart support for the State of Israel their personal mantra and mission in this world. Sandy Cahn is a former UJA/Federation Women’s Chair in NY and also National Chair of United Jewish Appeal Women’s Campaign. She is a woman who has been at the forefront of Jewish activism through her assuming numerous leadership positions in a litany of esteemed Jewish philanthropic organizations. 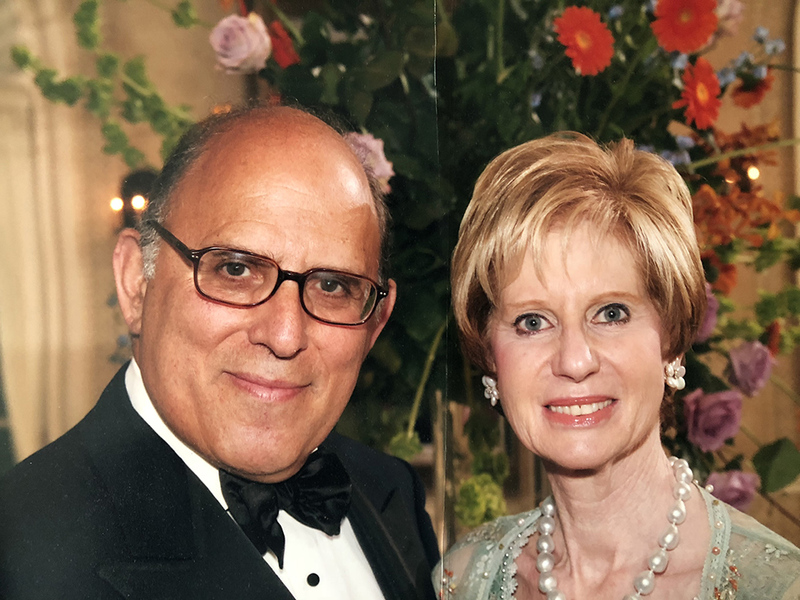 Mrs. Cahn’s impressive credentials also include her role as co-founder of Women’s Executive Circle of Women’s Philanthropy at the UJA Federation and serves for many years on the board of directors of the Joint Distribution Committee (JDC). As an alumna of CUNY’s Queens College, (where she also received a Masters of Education degree), Mrs. Cahn served as a board member of Hillel International Foundation for Jewish Campus Life and was chairwoman of the board of Queens College and currently serves as board member of Hunter College Hillel. She is also currently Vice President of the National Yiddish Theatre Folksbeine and serves on the cultural organization’s Executive Committee. “Along with my husband Stewart, I am humbled to be receiving this auspicious honor at the JCRC winter benefit. The JCRC’s mission has been and continues to include fostering the security of the Jewish people in Greater New York including Westchester and Long Island. JCRC support for Israel is manifested in their year-long activities and is topped off by their sponsorship of the annual Salute to Israel Parade held every June. As a pro-active central coordinating and resource organization for the Jewish community, JCRC serves as a creative advocate, strategic builder and progressive convener amidst the diverse population of New York,“ she said. Mr. Cahn says, “Early stage Israel digital health companies which we select to work with all have the potential to change the world. For example, an early stage Israel company, Voiceitt, for which Cahn Capital is their exclusive investment banker and has raised $8MM of equity in two rounds, enables people to speak who cannot speak through the use of any smart device, speech recognition, artificial intelligence, cloud computing, and a large voice database. Mr. Cahn stated the JCRC operates on an annual budget of $5MM with 30% funded by the UJA, with private donations the remainder. Approximately $1MM is allocated for the Salute to Israel Day Parade which annually has 40,000 marchers and a huge live audience plus the parade march is fully covered by a television contract. Mr. Cahn acknowledges the Boycott, Divestments and Sanctions (BDS) movement has gained an ominous momentum on certain campuses. In order to successfully address the insidious propaganda spewed forth by such groups as the Jewish Voice for Peace (“JVP”), which is not Jewish and is not for Peace, he said the JCRC organizes special missions to Israel including educators, students, members of the City Council, religious and ethnic leaders in the Hispanic and Black communities. “Chief among the priorities of the JCRC is effective image building through factual truth by directing missions to Israel that can help to dispel the canards about Israel. One can only grasp a genuine understanding of Israel’s position in the world by traveling there; seeing the country, speaking to its leaders and citizenry and imbibing its historical and cultural heritage,” said Mr. Cahn. He is quite pleased to add that the JCRC played an instrumental role in persuading New York State Governor Andrew M. Cuomo to sign an executive order in June 2016 that unequivocally declares that supporting the BDS movement is illegal in the Empire State. In addition to his leadership role at JCRC, Mr. Cahn served as Co-Chair for the Entertainment Division of the UJA-Federation of NY when he was a senior officer at Chemical Bank for the first 28 years of his career in their Banking and Corporate Finance Division specializing in Entertainment Industries banking and investment banking. He is a currently Co-Chair of UJA/Federation’s Banking and Finance Division, was a former board member of UJA/Federation and is a past chair of the Banking and Finance Division of State of Israel Bonds. Stewart is a graduate of Colgate University and holds an MBA degree in Finance from Cornell’s Graduate School of Business.